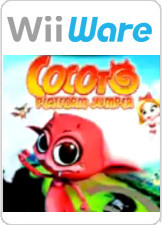 Cocoto Platform Jumper is a 2004 platform video game released by Neko Entertainment. The game has been released on many different platforms in the PAL regions including the Nintendo GameCube. It was released for WiiWare in North America on April 27, 2009 and in the PAL regions on June 12, 2009. The graph below charts the compatibility with Cocoto Platform Jumper since Dolphin's 2.0 release, listing revisions only where a compatibility change occurred. This page was last edited on 15 January 2018, at 07:54.